There is an intense search for longevity genes in both animal models and humans. Human family studies have indicated that a modest amount of the overall variation in adult lifespan (approximately 20–30%) is accounted for by genetic factors. But it is not known if genetic factors become increasingly important for survival at the oldest ages. We study the genetic influence on human lifespan and how it varies with age using the almost extinct cohorts of Danish, Finnish and Swedish twins born between 1870 and 1910 comprising 20,502 individuals followed until 2003–2004. We first estimate mean lifespan of twins by lifespan of co-twin and then turn to the relative recurrence risk of surviving to a given age. Mean lifespan for male monozygotic (MZ) twins increases 0.39 [95% CI (0.28, 0.50)] years for every year his co-twin survives past age 60 years. This rate is significantly greater than the rate of 0.21 (0.11, 0.30) for dizygotic (DZ) males. Females and males have similar rates and these are negligible before age 60 for both MZ and DZ pairs. We moreover find that having a co-twin surviving to old ages substantially and significantly increases the chance of reaching the same old age and this chance is higher for MZ than for DZ twins. The relative recurrence risk of reaching age 92 is 4.8 (2.2, 7.5) for MZ males, which is significantly greater than the 1.8 (0.10, 3.4) for DZ males. The patterns for females and males are very similar, but with a shift of the female pattern with age that corresponds to the better female survival. Similar results arise when considering only those Nordic twins that survived past 75 years of age. The present large population based study shows genetic influence on human lifespan. While the estimated overall strength of genetic influence is compatible with previous studies, we find that genetic influences on lifespan are minimal prior to age 60 but increase thereafter. 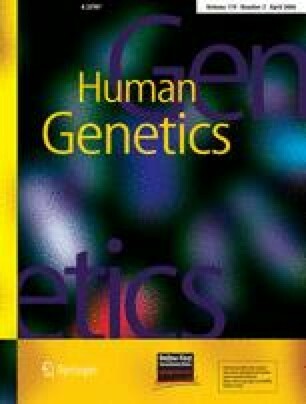 These findings provide a support for the search for genes affecting longevity in humans, especially at advanced ages. This paper originates from the GENOMEUTWIN project which is supported by the European Union Contract No. QLG2-CT-2002-01254. This work was also supported by the U.S. National Institute on Aging Research Grant NIA-PO1-AG08761. The Swedish Twin Registry is supported by grants from the Swedish Department of Higher Education, AstraZeneca and the Swedish Research Council.